That’s what Alien Gear’s Cloak Tuck 3.0 ($45) brings to the table. I’ve been testing it for a few months now and have even taken it to a multi-day CCW course. While other people were complaining of chafing or were accidentally tearing out their holsters along with their guns…the Cloak Tuck and my XD passed with flying colors. 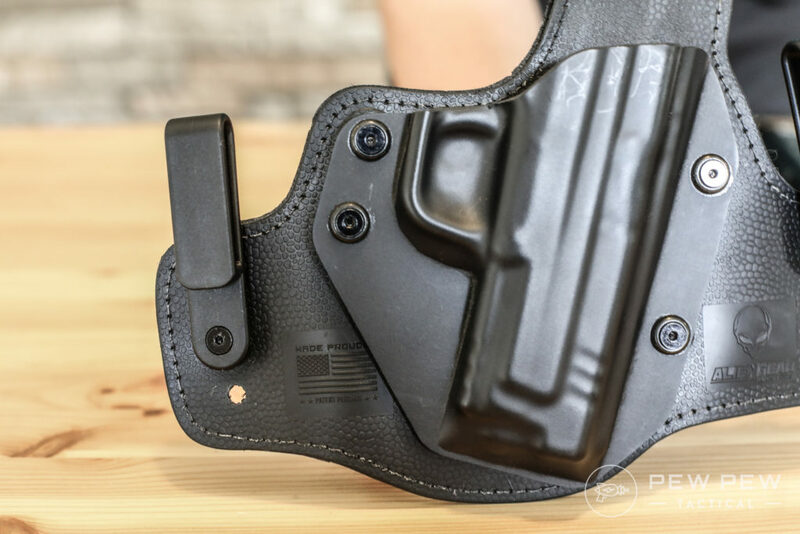 Read on to see if it meets your criteria for the perfect IWB (inside the waistband) holster. 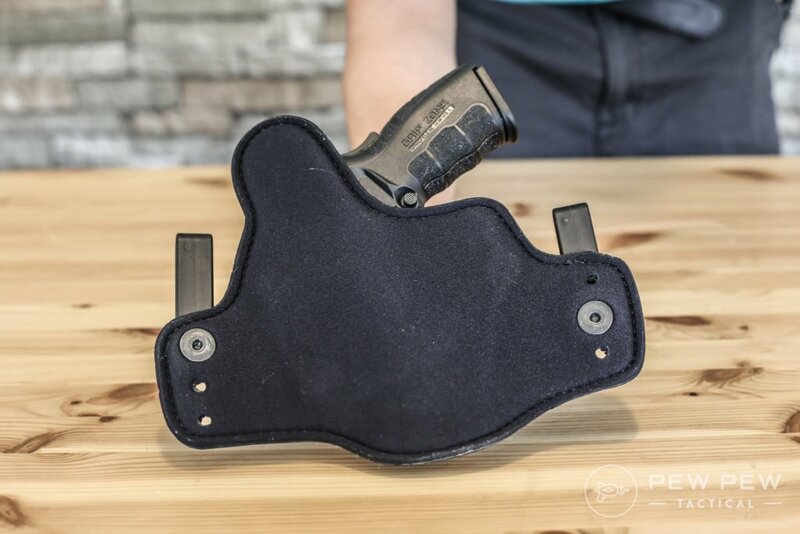 In a world with a TON of holsters (don’t believe me…check out my Best Holsters for Any Way You Carry), there’s only so much you can do to stealthily affix a firearm to your body. 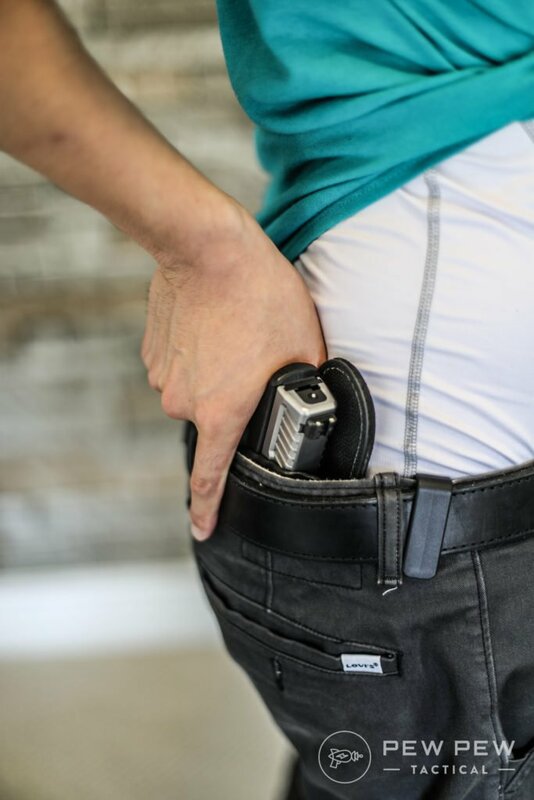 The Cloak Tuck 3.0 does it well with its hybrid Kydex (hard plastic) shell that holds the gun and completely covers the trigger. Plus a waterproof neoprene backer (think scuba suit) that is comfy even next to bare skin. Also very easy to wipe off for cleaning. 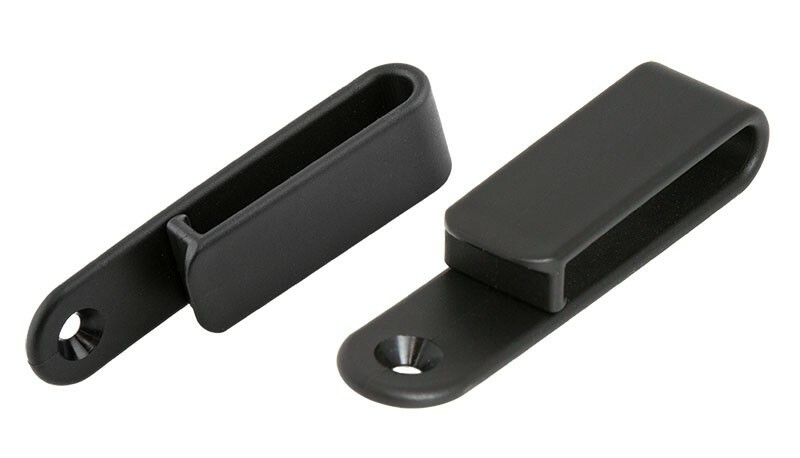 The clips to your belt also hook underneath it so it’s not coming out unless you want it to. And the cut of the backer is a good combination of enough material to block the gun from touching your skin while allowing a good high grip. 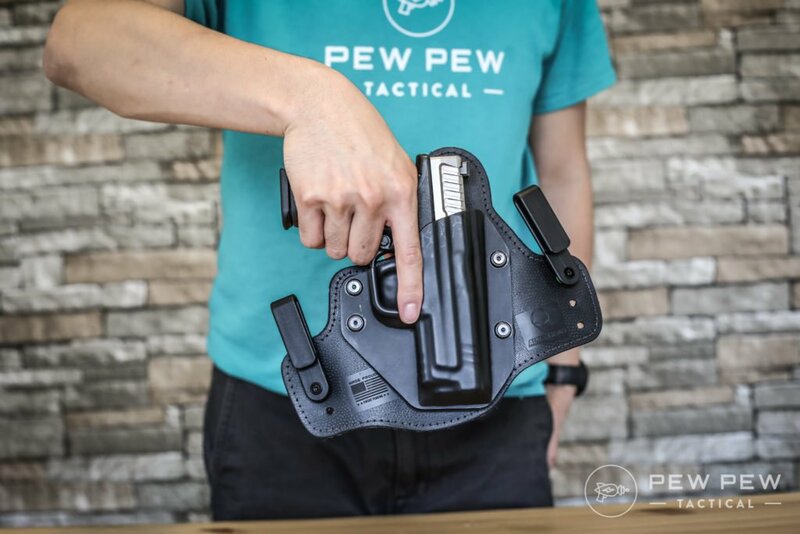 A holster can be the comfiest thing ever…but if it can’t conceal a gun it’s useless! 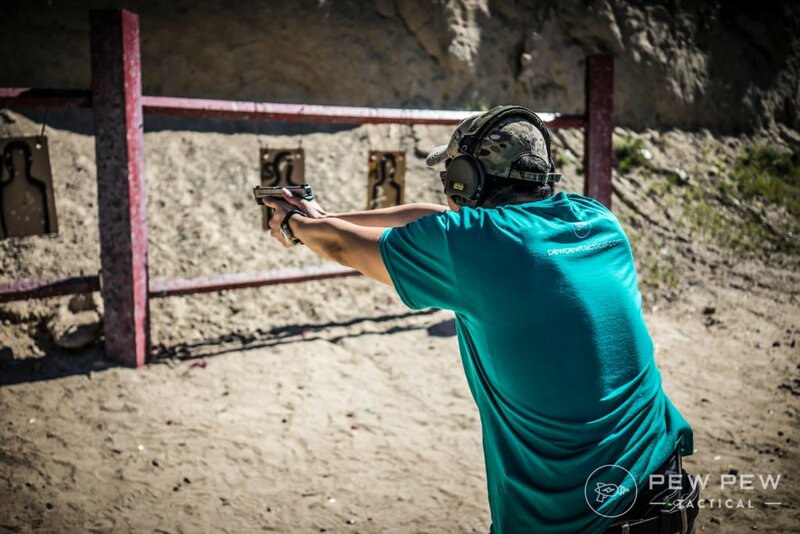 Here I’m using the Springfield Armory XD Mod 2 Service Model. The service model is special since it has a full sized grip and a slightly shorter barrel. 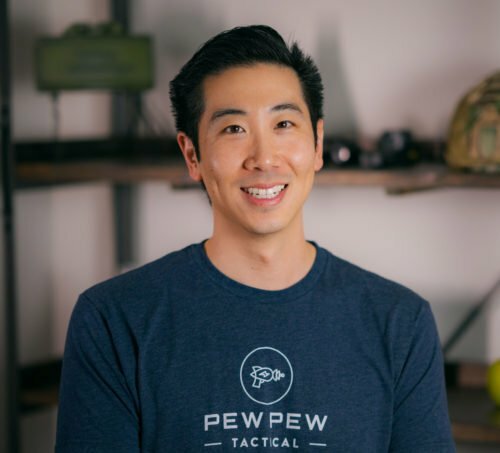 One of my top recommendations for Best Handgun for Beginners. The grip is where it matters since it will be the thing poking out of your shirt. Here’s a couple angles starting with my back. 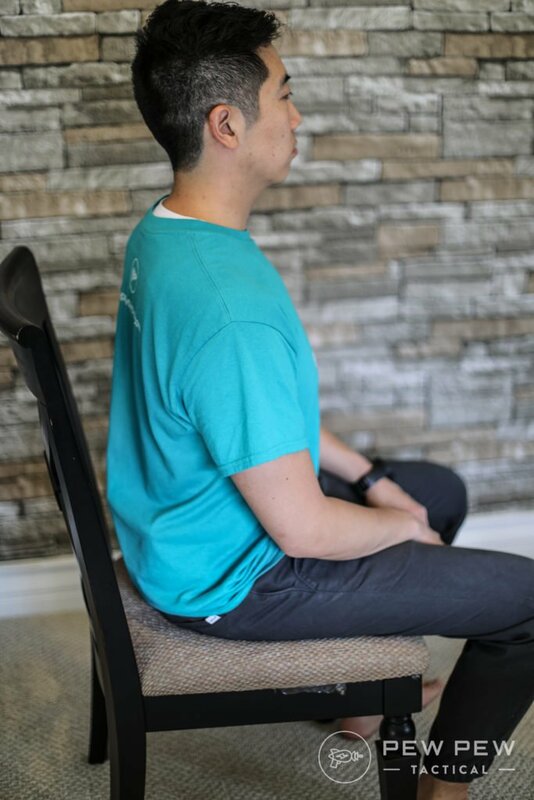 I’m 5’10” and 175 lbs wearing a large shirt with the holster on my right side. How about with a jacket? I don’t know about you…but I can hide it pretty well. Only when I’m sitting does it poke out a little. But if you actually sit against something no one will be the wiser. Likewise, if you can’t draw your gun easily…your holster is useless. The Alien Gear fared very well during my testing and class due to its clips and cut angle of the backer. The clips kept the holster in whenever I drew and the angle of the backer allowed me to get a nice high grip. 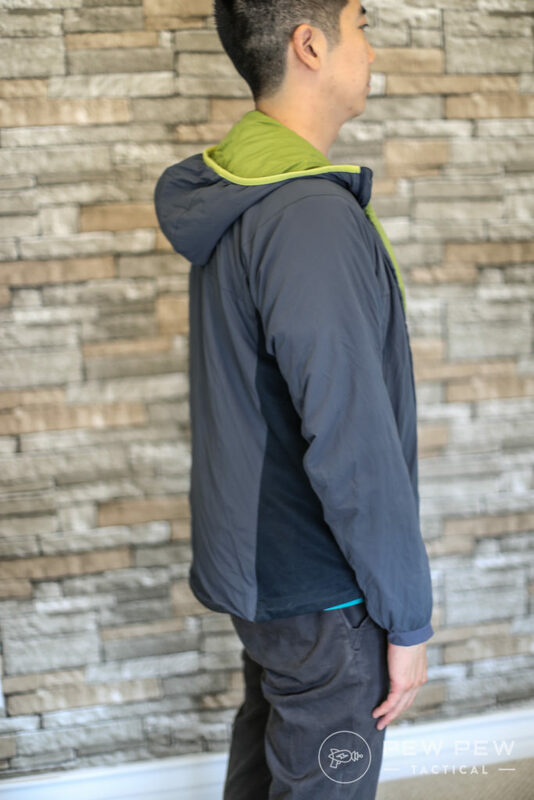 Do I recommend the Alien Gear Cloak Tuck 3.0 ($45)? Alien Gear has a 30-day “Test Drive” guarantee PLUS a lifetime warranty. So what are you waiting for? 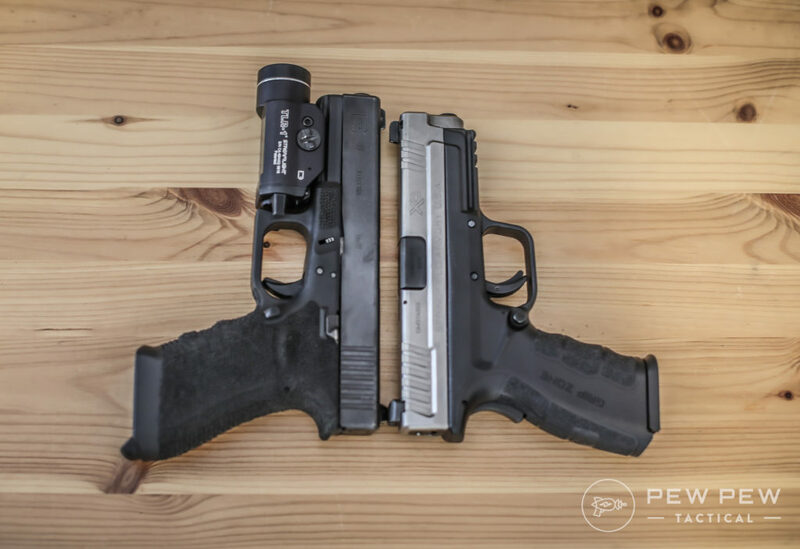 Did you go with the Alien Gear or another from my list of Best Holsters? Regardless of what CCW holster you go with…make sure you have some self-defense insurance in case the unthinkable happens. Check out my full review of the industry leader, USCCA. Hi John, thanks for sharing your experience with us. 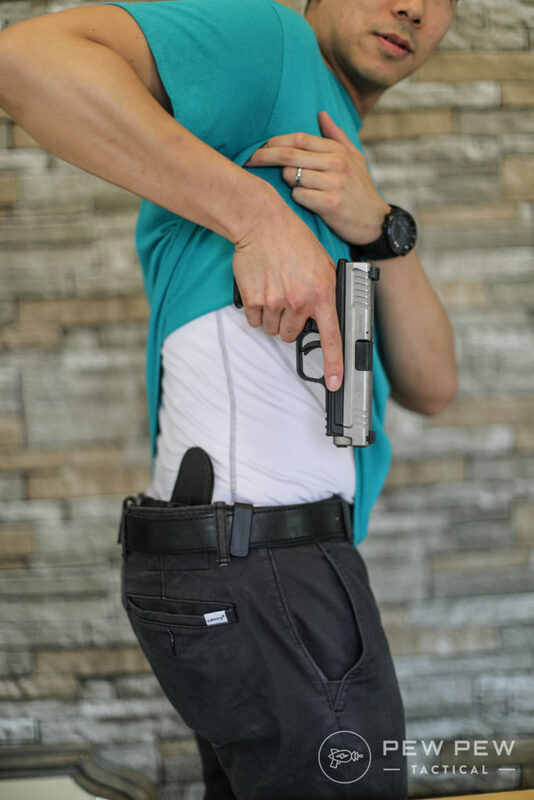 What brand of undershirt are you wearing to keep the holster off your skin? 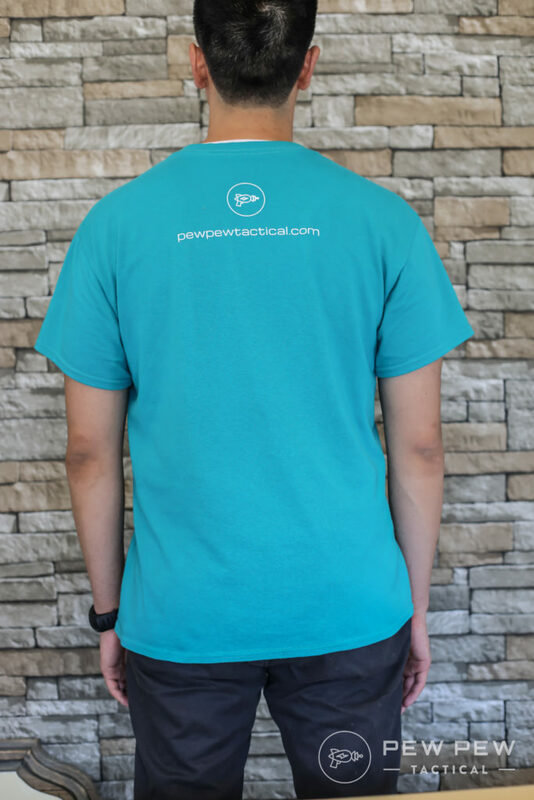 Hi Scott, I’m wearing Neleus…I have both the short and long sleeve ones. Great for going to the gym and holster reviews. The Cloak Tuck is my favorite holster. I have one for my FNS-9C and it is so comfortable I sometimes forget I’m wearing it. Like someone else mentioned, you will certainly need to apply some loctite to all of the screws to keep them from working loose. I have tried some other holsters with my other carry guns but they are not as comfortable and well made as the Cloak Tuck.